President-Elect Donald Trump Collectible Colorized JFK Half Dollar | BUDK.com - Knives & Swords At The Lowest Prices! 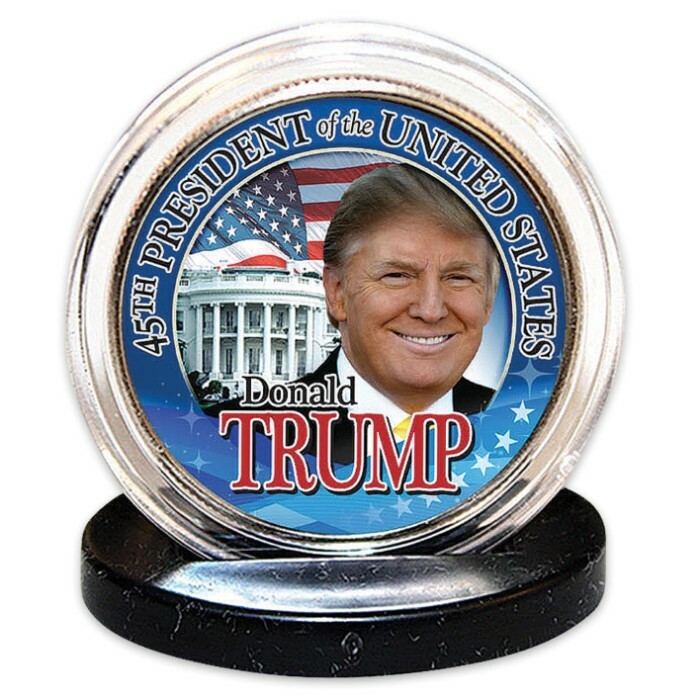 This is the premier President-Elect Donald Trump collectible coin. Here’s your chance to own a beautifully colorized US JFK Kennedy half dollar. 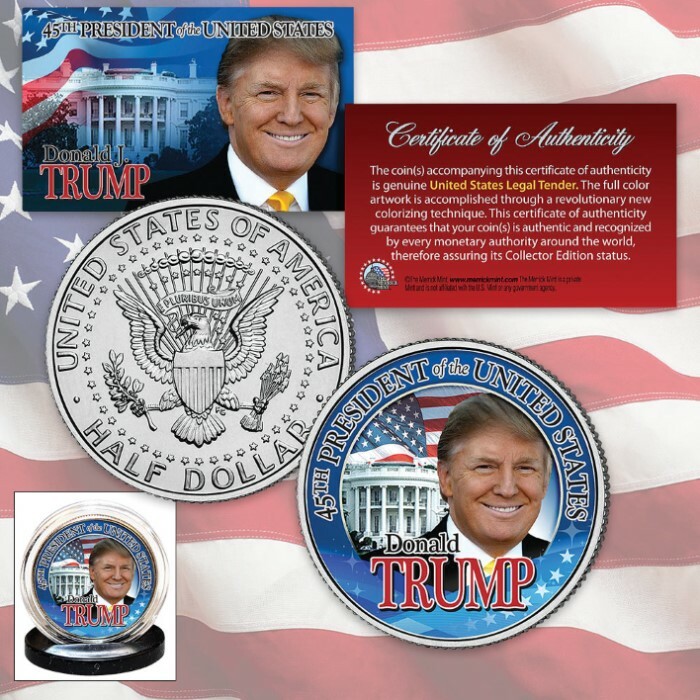 This high quality genuine legal tender coin has been colorized using a unique painstaking multi-color process pioneered by the Merrick Mint. This process involves the unique application of special inks directly to the surface of a coin that achieves a level of detail, color saturation and durability that is unrivaled in the collectible coin industry. The result is an everlasting colorized coin collectible of ultra-high quality. Each coin comes in a premium coin capsule with a certificate of authenticity.